Addiction affects every person, and every family, differently. Quality treatment should not only be about the individual getting well, it should be about the entire family getting well too. “We really look at the recovery process for families as being parallel to the recovery process for the identified patient,” says Brad Sorte Executive Director of ​Caron’s Renaissance and Ocean Drive Programs & VP Florida Operations​. Research​ ​shows that understanding family dynamics is key in not only the treatment process but also in aiding long-term sobriety. “It really starts by educating families that this [addiction] is something that affects everybody,” says Sorte. Education is just the first step; Caron Treatment Centers provides family treatment work in a structured environment with peers and other family members who are experiencing similar situations. Families need to be able to take the intellectual understanding about the disease of addiction and begin to internalize that understanding so they can resolve the hurt, frustration, anxiety and pain addiction has caused their entire family. With more than 60 years of experience, ​Caron ​prides itself on bridging the gap in addiction treatment. 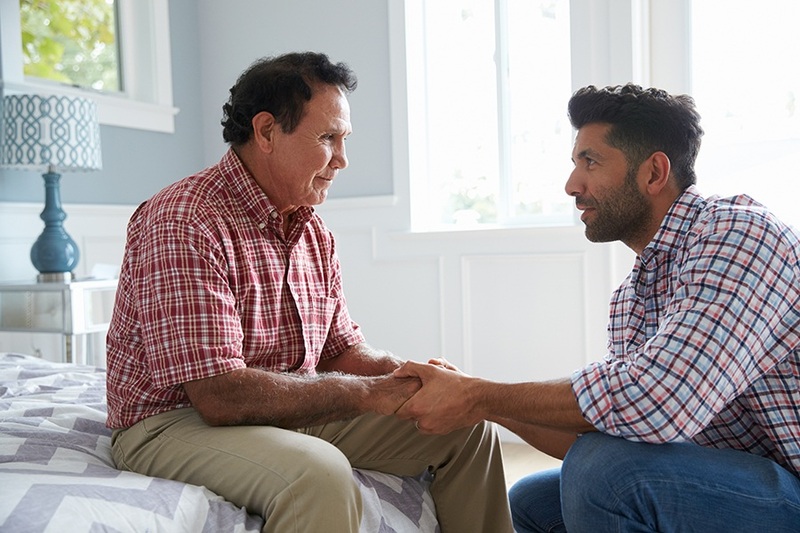 They believe when searching for a quality treatment provider, families should be looking at whether or not a center provides numerous opportunities and resources for families to participate in their loved one’s treatment. Comprehensive family involvement is key. Families need to be engaged within the full treatment experience in order for them and their loved one to break the cycle of addiction, heal the past and embrace the family recovery process. “Much the same way the treatment allows patients to identify their potential for relapse… [and] manage their urges and impulses to act out in a short-sighted way–it also supports the family in that same endeavor,” notes Sorte. Studies ​continue to point to addiction as a chronic illness that requires social support as well as medical treatment to aid in long-term recovery. That’s why ​Caron Treatment Centers prides itself on integrated and comprehensive family involvement throughout their treatment programs to help families and loved ones successfully navigate the family system in recovery.